Laura Clay’s short story, A Story of Homecoming, was published by the Scottish Book Trust in their 2014 Stories of Home anthology, and her flash fiction Diablada was displayed in the Museum of Childhood as part of her work with writing collective 26. As one of 17 UNESCO Emerging Writers, she read her story Loch na Beiste at the 2016 Edinburgh International Book Festival, and she also contributed A Beltane Prayer to an anthology of Edinburgh stories, published by Freight Books. 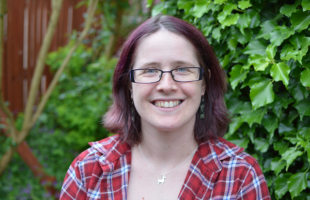 She is currently querying her first novel, an urban fantasy set in Edinburgh. When I was fifteen, a school friend dragged out her CD player and insisted I listen to a ‘really amazing’ song. She pressed Play, and with a shimmer of guitars the first bars of Jolene began. It was my first encounter with Dolly Parton, and kindled a lifelong love for her. Dolly Rebecca Parton was born in Tennessee, the fourth of twelve children in a ‘dirt poor’ family who lived in a small cabin in the Great Smoky Mountains. Her rise to success was swift in a music-loving household, and by ten she was performing on local television. When she stood up to make her high school graduation speech and declared she was going to Nashville to be a star, all her classmates laughed at her, but Dolly persevered with rock-solid determination, a trait that would define her career for the next fifty years. Glittering in rhinestones and with gravity-defying plunging necklines, her distinctive stage persona was inspired by the ‘town tramp’, whose extravagant clothing was miles away from a self-described ‘plain Jane’ and seemed like a reflection of her true self. ‘I thought she was absolutely beautiful because she looked like a movie star to me, because she had those piles of bleached hair, red lipstick, nails and cheeks, and high-heeled shoes,’ she explained. When the townsfolk around her called her fashion idol ‘trash’, Dolly could only see a beautiful, confident woman. But under the unforgiving lens of the media, Dolly’s appearance has been scrutinised, mocked, and picked apart. In a modern world obsessed with image, fuelled by damaging phenomenon such as the Daily Mail’s ‘sidebar of shame’, a woman who embraces ‘trash’ and owns it is a powerful thing. ‘It costs a lot of money to look this cheap,’ as Dolly herself says. Dismantling the notion of a brash, provocatively dressed woman as a threat is a risky move, but it’s paid off. Dolly may have pleaded with Jolene not to take her man, but she was making notes on the contents of her wardrobe at the same time. The Nashville country scene was an intimidating place for a woman when Dolly was seeking success. Landing a coveted spot on the Porter Wagoner TV show may have set her on an upward trajectory, but at the expense of stifled creativity. Seven years later, Parton and Wagoner parted ways, with the emerging star writing I Will Always Love You as a wistful, heartfelt farewell to their songwriting partnership, as she looked to a future career on her own terms. Through her own long-running TV show and lifelong collaborations with Emmylou Harris and Linda Ronstadt, Dolly sent a clear message to her fellow country music artists: women were front and centre, and fighting back against the old guard. Dolly has always striven to experiment, to push the boundaries of country music, and throw herself into new ventures. As a businesswoman she has proven to be shrewd and bold, owning a successful film and television production company and, of course, the legendary Dollywood theme park. Smashing the glass ceiling is nothing new to Dolly, though. In the film 9 To 5, we see her character Doralee teaming up with her fellow female co-workers to plot the downfall of her bigoted, misogynist boss. The film’s tagline is ‘Getting even is a full-time job,’ a statement that still applies to women’s daily struggle for equality across the world. For instance, the sexism endemic in the recent US election is a telling example that our journey is a long, hard one. Now aged seventy, Dolly hasn’t settled quietly into old age. She’s still releasing songs with a powerful, feminist message, touring constantly, and focused on bringing about the change she wants to see in society. As a writer, Dolly’s contribution to child literacy with The Imagination Library resonates most deeply with me. Since the project began, more than 76 million books have been gifted monthly to children from birth to five years, and so far Dolly has brought the scheme to Rotherham and Southwark in the UK, as well as trialling it in developing nations such as Belize. As someone with deeply rooted memories of her working-class background, Dolly acknowledges that the ability to read is an important way out of poverty. Producing smart, literate girls is a strong, meaningful contribution to the feminist movement. But there’s still a long way to go. Recent years have seen the emergence of the so-called ‘Bro-Country’ genre, with white male artists singing about drinking, partying, and picking up women in tight clothes. More than ever, musicians like Dolly are needed to fight back against objectification and marginalisation. Dolly is a great example of a dangerous woman, because she dares to carve her own path in life, regardless of the views of others. She is also immensely important as an early feminist pioneer, in a stuffy, set-in-its-ways country music industry demanding that women be meek and pretty, never speaking out of line, standing by their man. Self-aware of her image, just self-deprecating enough, and determined to make women’s voices heard, whether town trash or plain Jane, Dolly’s message is simple: dream more, learn more, care more, read more.